Your VSCO portfolio may soon be full of moving pictures. With DSCO (yes, pronounced ‘disco’), the company is making its first move into GIFs. The app itself is dead simple to use. Fire it up, then long-press the on-screen button while a colorful bar frames the sequence. You don’t have to hold it down the entire time the bar is circling your screen to make a GIF, either. If you like, you can press anywhere on the screen to create a focal point. DSCO also uses the VSCO filters you’ve purchased to create a ‘skinned’ GIF, if you like. Once the snake wraps itself around your screen — or you lift your finger — a GIF is automatically created. A preview is generated immediately, and gives you the option to delete or publish straight to VSCO. If you publish to VSCO, a second GIF is added to your Photos library. DSCO GIFs will play inside the VSCO app, too. If you want to share directly to another service (like Twitter), swiping down from the top of the screen gets you to settings, where you can add other profiles. You can always share directly from VSCO if that’s your preference. Keep in mind DSCO is linear; once you lift a finger from your screen, the GIF is created. You can’t import GIFs, or cobble together video snippets like you can with Vine. I asked what took so long for VSCO to go GIF-y, and the answer was scale. VSCO has been incredibly popular, and the team has been focussed on scaling their efforts on the service proper. 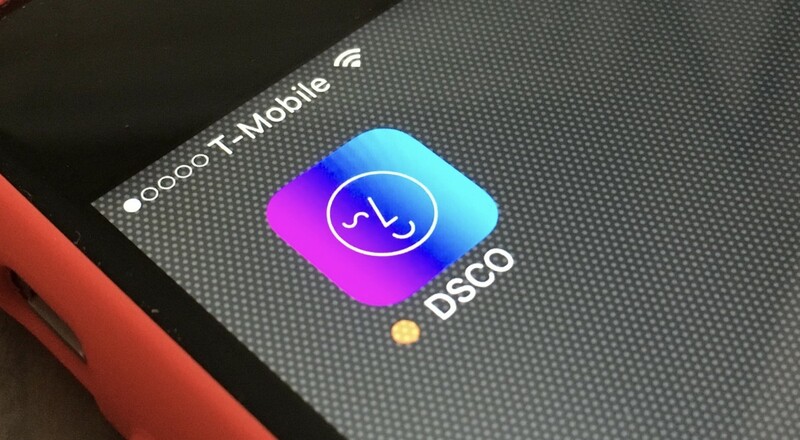 DSCO is the first standalone app from VSCO, but likely not the only one we should expect. VSCO says there will probably be more standalone apps from it in the future. Like DSCO, future apps will focus on adding benefit to the VSCO platform without making the core app too fussy. The app is currently iOS-only, and is available free from the App Store.